Similar to asking for favors, which we learned in the last lesson, there are also various ways to make requests in Japanese. This is effectively the Japanese way of saying, “please do X”. We’ll first learn the most common way to make requests using a special conjugation of the verb 「くださる」 and the firmer 「なさる」. Finally, we’ll learn the rarely used excessively strong command form for the sake of completeness. You can safely skip the last part unless you’re an avid reader of manga. As you can see 「ください」 is a direct request for something while 「くれる」 is used as a question asking for someone to give something. However, it is similar to 「くれる」 in that you can make a request for an action by simply attaching it to the te-form of the verb. Please write it in kanji. The rules for negative requests are same as the rules for 「くれる」 as well. In casual speech, it is often common to simply drop the 「ください」 part. Please lend me the eraser. Please don’t go to a far place. For those who want to sound particularly commanding and manly, it is also possible to use 「くれる」 with the 「る」 removed. Don’t go to a far place. Because 「ください」 like the masu-form must always come at the end sentence or a relative clause, you cannot use it to directly modify a noun. For example, the following is not possible with 「ください」. The clock that father gave broke. Of course, since direct quotes is merely repeating something someone said in verbatim, you can put practically anything in a direct quote. A casual alternative of 「ください」 is 「ちょうだい」. While it can be used by anyone, it has a slightly feminine and childish nuance and is always written in Hiragana. Written in Kanji, it is usually used in a very formal expression such as 「頂戴致します」. Grammatically, it’s used exactly the same way as 「ください」. Please give me the spoon. 「なさい」 is a special honorific conjugation of 「する」. It is a soft yet firm way of issuing a command. It is used, for example, when a mother is scolding her child or when a teacher wants a delinquent student to pay attention. 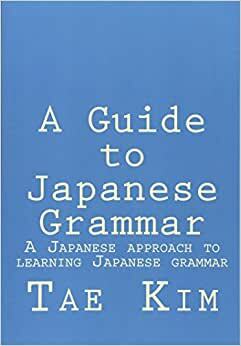 Unlike 「ください」, 「なさい」 only applies to positive verbs and uses the stem of the verb instead of the te-form. It also cannot be used by itself but must be attached to another verb. You can also drop 「さい」 portion of the 「なさい」 to make a casual version of this grammar. There’s still a lot, so eat a lot. If you think that’s fine, then go ahead and do it. Be sure to note that, in addition to the familiar 「する」, 「くる」 exception verbs, 「くれる」 is also an exception for the command form. Hurry up and bring me some alcohol. The negative command form is very simple: simply attach 「な」 to either ru-verbs or u-verbs. Don’t confuse this with the 「な」 sentence-ending particle we will be learning at the end of this section. The intonation is totally different. Don’t say such weird things! This is not to be confused with the shortened version of 「～なさい」 we just learned in the last section. The most obvious difference (besides the clear difference in tone) is that in 「～なさい」, the verb is first converted to the stem while the negative command has no conjugation. For example, for 「する」, 「しな」 would be the short version of 「しなさい」 while 「するな」 would be a negative command.